Uranus is the 7th planet in the solar system and I am dedicating the 7th circuit of the Labyrinth to the 3rd largest planet. 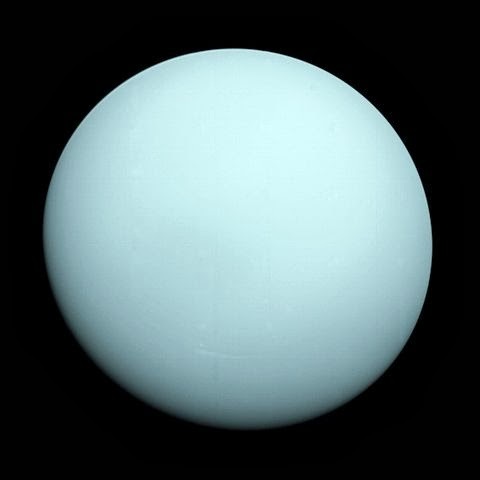 While all the other planets are named after Roman Gods, Uranus, is the only one named after a Greek deity, the God of the Sky. The planet turns on an axis that is perpendicular to the other planets, so that its poles are located where our equator would be. Photographs from the Voyager Spacecraft show a featureless atmosphere of pale sky blue, perhaps inspiring its name. It was the first planet to be discovered using a telescope, even though it is visible with the naked eye. It has 27 moons, and takes 84 Earth years to orbit the sun. It is befitting that the illuminated night sky was so dramatic on my return to the island to begin building this circuit dedicated to the sky and the heavens. When I returned to the site I was delighted to see that somebody had made a wreath of fallen fir boughs around the altar in the center of the Labyrinth. It is gestures and blessings like these that bring sacredness to the space. I started by moving the forms to start the 7th circuit. The curve from the entry path to this circuit is formed with a piece of flexible lawn edging and lots of spikes inside which I set the yellow stones that correspond to the western direction of the Budding Trees Moon. A man and his nephew came to see the project. I made them a yellow starfish in the section of the path passing the Neptune circuit, the last one in that series. They know the family who came and placed the dahlias I brought to the site before I left for my last break. They talked about how moving the experience was for them. When I made the turn in to the 7th circuit I decided to make flying birds for people who come to visit and ring the Prayer Wheel. 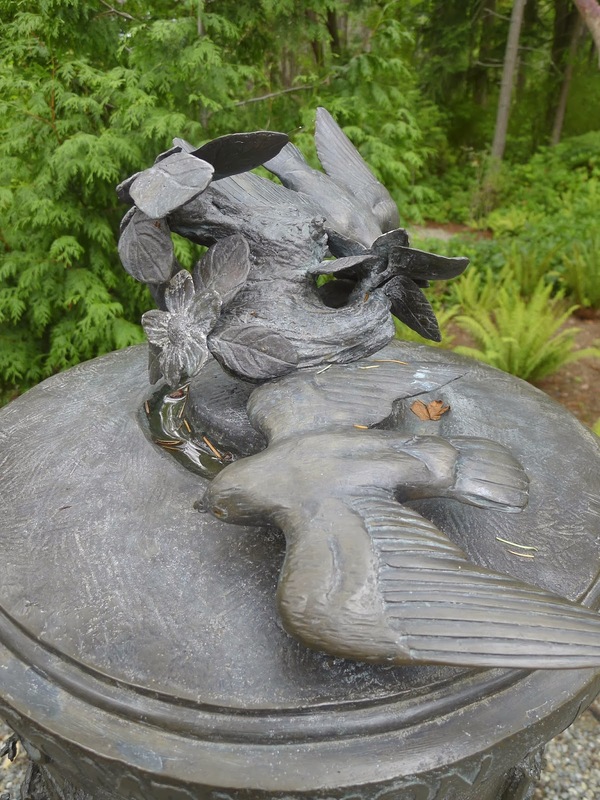 I chose swallows as they have a simple streamlined shape and are the bird cast in bronze on the top of the wheel. I've always loved watching swallows dip and swerve over still waters, catching insects and sipping water on the wing. So I look for stones that have a slender shape for the body and tapered ones of the wings. Two small triangles make up the scissor tail. Sometimes I add a head if it looks appropriate. It is not easy to make a readable swallow with the kinds of rock I find on the beach, which usually don't come in slender shapes. I made a run to the beach at low tide and gathered 8 buckets of stones to supplement the green and pink I need to make this arc from Spring to Summer. It gets dark at 5:00 now because of daylight savings time, which is frustrating as I would like to continue working. The next morning I moved the forms again and set the stone up to the southern cardinal point, where I left a gap so that I can add the loops to the 6th circuit that will happen here. Then I returned to the beach again to collect pink and red and purple stones for the Summer to Autumn arc. Red stones are really getting rare on the beach I usually collect from. I went all the way down to the end today where the landslide took out the road. The repair is terrible to look at, and the beach has been compromised by the construction. This is near the point where a Creosote factory was located, the largest in the region at one time for making treated wood for railroad ties and power poles. The polluted floor of the harbor is listed as the Wykoff-Eagle Harbor superfund site due to the severity of the contamination the plant left behind. Cleanup is still in the research and planning phase even though the site was listed in 1987. Superfund sites are usually impossible to clean. Rising sea levels due to Global Warming will endanger a great many homes and roads around the island in the years to come, causing erosion and more landslides like the one here. But people on the island seem to prefer to drive large vehicles rather than smaller more fuel efficient ones, so those on the water will eventually have to pay the Piper. The tide was coming in and the steep stone steps leading down to the beach from the home I am accessing this section of the Rockaway Beach from is partially covered during high tide. The ferries come in to Eagle Harbor close to the shore here and the wake from the boats caught me against the bulkhead wall and soaked my pants, so I had to go home and change out of my wet clothes and shoes. Then I returned to the site and worked until dark setting the red stones I added to my selection. The red section of the labyrinth is very rich and beautiful, with lots of Jasper in the mix. The next morning another pallet of mortar and 200 feet of rebar had been delivered. My body moaned in anguish, but it gives me the goal to use up this material before I quit for the winter. There are 50-80 pound bags of mortar on a pallet, weighing in total two tons. I think this is my 5th pallet so I will have mixed 20,000 pounds of mortar this fall! No wonder I'm so sore. Some people brought me a galvanized bucket of stones to use in the Community circuit, which I went through and picked out the ones I could use. The next day it was windy and raining and the power was out, and there was no running water at the house, so I went to work without the benefit of hot tea or being able to wash my face. I had to set up my modular structure to attach a tarp to and had a fairly miserable day setting the path to the loop on one side of the western axis. The power was still out so I had to wash my hands in the toilet, and drove to town for dinner as the lights were still on at this part of the island. I went to bed that night without a shower. The power came back on just before midnight. I made the second loop in the west and proceeded on through brown stones in to orange. Another trip to the beach was needed to gather orange and black stones to carry on. The lousy weather makes for fewer visitors and I have been listening to music to get me through the drearier times. Still the weather hasn't been too bad overall compared to what it could be. I continued on in to the orange and black areas. Each circuit is a slightly smaller deja vu of the last one as I go around and around. A woman walking her dog who lives below the park on the harbor came by and invited me to access the beach there via their garden to collect rock, so I made a trip down to see what was there. The sky was gorgeous but the stones here are very small and not what I was looking for, so I ran down to Rockaway beach while the tide was out to collect more black stones, which made it possible for me to continue working. I need larger flat pieces to form the edges of the path, and always seem to be running out of these. I made a small flock of black swallows for people who came by the site. Can you find the Swallows? October 9th: I haven't been sleeping the past few nights. Something is going on out there that is keeping me awake. So I was thoroughly exhausted when I went to the site this morning. I picked up a cold from working in the rain which may have something to do with it. Terry and Terri came to shoot more video today. They filmed a tour of the park while I ran to gather some larger white stones to work my way in to the northern part of the labyrinth. We talked about the lives of Greek God's while I worked and it turned out to be an enjoyable day in spite of my fatigue. My cousins Libby and Bob came by with a couple of friends, making for a social afternoon. Even though I was sleep deprived and surrounded by guests, I made great progress, mixing 8 bags of mortar and setting about 18 feet of path. I hauled gravel down the hill that had been delivered and filled some of the gaps between the paths after it got dark since that happens at 5:00 PM now. I'm using the same gravel that was spread on the paths so that they match. The next day was Sunday and I had several visitors. The first couple, the Piraino's, were particularly fun to meet. We laughed a lot, which helped lift me from my delirium as I didn't sleep much again last night. We talked about Sicily and the town which is their namesake, and the famous Capuchin Catacombs where the bodily remains of departed souls lie in a grisly display of our mortal impermanence. Its an incredible thing to see first hand. I told them the story of how Ouranos' overly fertile wife Gaia had one of her many offspring castrate her husband after tiring from bearing so many hideous children, one of which was the Cyclops. When his testicles were flung in to the sea, there was a foaming from which Aphrodite, the Goddess of Love was formed. Such an interesting way to manifest love, out of pain. We had a good laugh when I commented on how much more fun Greek mythology was than Christianity. I made them a pair of Swallows after they left. In fact I ended up making a flock of swallows as more and more people came by. 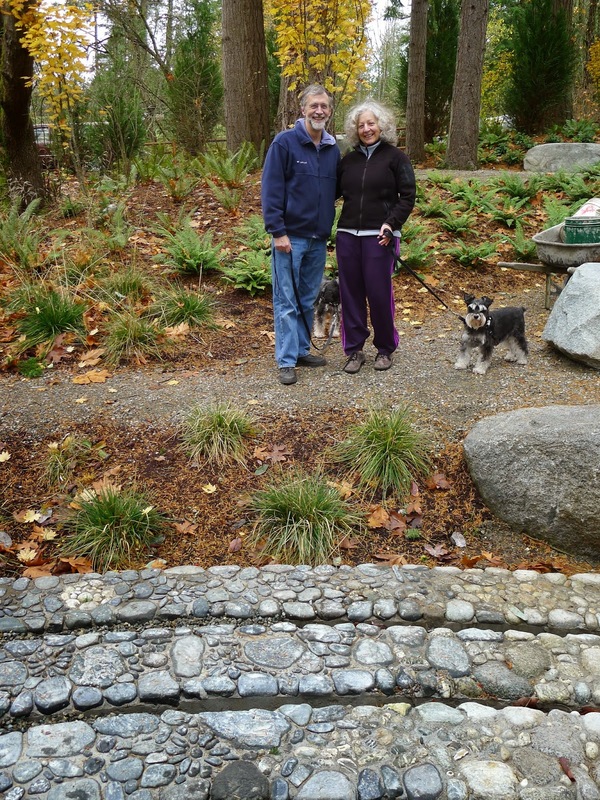 Rich, who's mother Joy is memorialized in the boulder and Stewartia tree at the western end of the Labyrinth brought his wife Amy by to see the project and we had a nice visit. He told me I would surely be going to Heaven for the work I am doing here. I laughed and said "We'll see..."
Next, a very nice woman named Jenny came to the park to turn the prayer wheel for her son Nolan. We had a lovely talk and I made Nolan a Swallow, with his Mother's wish that he metaphorically learn to fly. Blessings to you Nolan. I'm eternally grateful that I was born in a generation that didn't have access to computers and cell phones until I had formed a grander vision of the World. It seems a great tragedy that the wonders of the universe have been eclipsed by cellular devices. 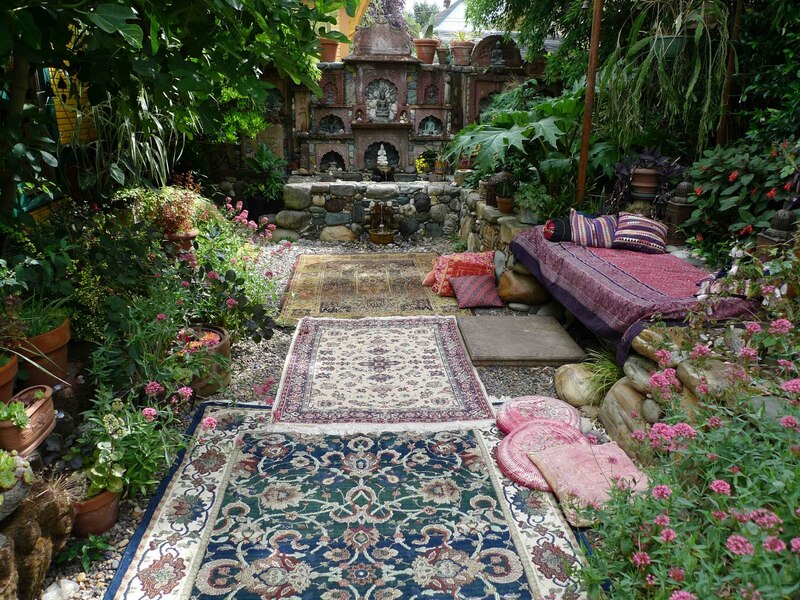 May this Labyrinth offer a path to reconnect us to the spirit of life. A little while later, the happy trio of ladies, Tiffany, Veronique, and Wendy came along and peppered me with questions. Their energy reminded me of the flocks of giddy robins feasting on the Madrone berries in the trees overhead in the morning, when the forest is alive with happy twittering. They were delighted to each get a Swallow as I finished the 7th circuit. Another one down! The days are so short but I need to begin the process of gathering more stones to make my way around yet another circuit before I quit for the winter, so I raced off to the beach and collected four buckets of about 300 pounds of stones before it was too dark to see anything. I was only going by shape in the end, so I won't really know what I have collected until tomorrow. At any rate, the center is beginning to fill in and the Labyrinth is really taking shape. May a flight around the 7th circuit be filled with the brilliance of a heavenly sky, lofty with muscular clouds, or a clear day sparkling on the water, or a star filled night hung with the the porch swing of crescent moon, encompassing all the aspects of the magnificent realm of the God Ouranos. Next I will begin the 6th circuit, dedicated to the Planet Saturn and its namesake God, who represents the concept of Time. A woman asked today what would go in the open center where the inner circuits have not yet revealed themselves. At first I was baffled by the question, but later while standing on the high boulder where I take the panoramic portraits of the Labyrinth each day, I envisioned a giant globe filling the rock strewn center, surrounded by the rings of Saturn. And that made me smile. I love your story..of your work, your love... beautiful work.. thank you ..i cant wait to see in in person...God Bless..
boy, I just cry the whole way through all of your stories! Beautiful story. Beautiful work. Thank you.